Written by world-leading experts in particle physics, this new book from Luciano Maiani and Omar Benhar, with contributions from the late Nicola Cabibbo, is based on Feynman’s path integrals. Key elements of gauge theories are described—Feynman diagrams, gauge-fixing, Faddeev-Popov ghosts—as well as renormalization in Quantum Electrodynamics. Quarks and QCD interactions are introduced. Renormalization group and high momentum behaviour of the coupling constants is discussed in QED and QCD, with asymptotic freedom derived at one-loop. These concepts are related to the Higgs boson and models of grand unification. 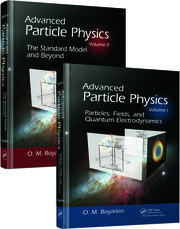 "… an excellent introduction to the quantum theory of gauge fields and their applications to particle physics. … It will be an excellent book for the serious student and a good reference for the professional practitioner. Let me add that, scattered through the pages, we can find occasional traces of Nicola Cabibbo's style." " … The volume ends with an illuminating description of the expectation generated by the recent discovery of the Higgs boson, combined with the lack of evidence for super-symmetric particles in the mass range 0.6-1 TeV." "…The reader is masterfully guided through the subtleties of the quantum field theory and elementary particle physics from simple examples in Quantum Mechanics to salient details of modern theory." Nicola Cabibbo (1935-2010) was professor of Theoretical Physics and Elementary Particle Phyiscs at the Rome Universities La Sapienza and Tor Vergata, and held research and teaching positions in prestigious institutions such as Harvard University, the Institute for Advanced Studies, Princeton, CERN, Geneva, University of California at Berkeley and Universit?e Paris VI. In 1962, Cabibbo discovered the phenomenon of quark mixing, described by a new natural constant, the Cabibbo angle, measured with great accuracy in semileptonic weak decays of hadrons. According to a recent analysis, Cabibbo's paper on quark mixing was the most influential article published in the journals of the American Physical Society during 1893-2003. In the 1980s, Cabibbo provided important momentum to the applications of numerical techniques to theoretical physics, notably the gauge theories of strong interactions, promoting and leading the development of the family of APE (Array Processor Experiment) supercomputers. He served as a member of a number of learned societies: Accademia Nazionale dei Lincei and Accademia delle Scienze di Torino, in Italy, National Academy of Science and American Association for Art and Sciences, in the USA, and Accademia Pontificia delle Scienze, which he chaired from 1993. An internationally reputed science manager, Cabibbo was President of Istituto Nazionale di Fisica Nucleare (INFN) and of Ente Nazionale per le Nuove Tecnologie per Energia e Ambiente (ENEA). He was the recipient of the J.J. Sakurai Prize (APS), the Medaglia Matteucci (Accademia Nazionale dei XL), the Dirac Medal, (ICTP Trieste), and the Benjamin Franklin Medal. Luciano Maiani is emeritus professor of theoretical physics at the University of Rome, "La Sapienza", and author of more than two hundred scientic publications on the theoretical physics of elementary particles. Together with S. Glashow and J. Iliopoulos, Maiani made the prediction of a new family of particles, those with "charm", which form an essential part of the unifed theory of the weak and electromagnetic forces. He has been president of the Italian Institute for Nuclear Physics (INFN), director-general of CERN in Geneva and president of the Italian National Council for Research (CNR). Has promoted the development of the Virgo Observatory for gravitational wave detection, the neutrino beam from CERN to Gran Sasso and at CERN has directed the crucial phases of the construction of the Large Hadron Collider (LHC). He has taught and worked in numerous foreign institutes. He was head of the theoretical physics department at the University of Rome, "La Sapienza", from 1976 to 1984 and held the chair of theoretical physics from 1984 to 2011. He is a member of the Italian Lincean Academy and a fellow of the American Physical Society. For his scientific work, he has been awarded the J. J. Sakurai Prize, the Enrico Fermi Prize, the Dirac Medal, the High Energy and Particle Physics Prize of EPS and the Bruno Pontecorvo Prize. Omar Benhar is an INFN research director and teaches gauge theories at the University of Rome, "La Sapienza". He has worked extensively in the United States as a visiting professor, at the University of Illinois and Old Dominion University, and was an associate scientist at the Thomas Jeerson National Accelerator Facility. Since 2013, he has served as an adjunct professor at the Centre for Neutrino Physics of Virginia Polytechnic Institute and State University. He is the author of more than a hundred scientific papers on the theory of many-particle systems, the structure of compact stars and electroweak interactions of nuclei. "This book on gauge theories completes a trilogy on the foundations of the Standard Theory of the fundamental interactions, but is fully self-contained. It combines the depth and conceptual accuracy expected from key contributors to the field with an effective pedagogical approach, tested over several decades of courses. The mathematical formalism is never overwhelming, and the reader is guided through the concepts and techniques of quantum gauge theories along a path always driven by physics, including recent developments on the Higgs boson. This book is a great legacy of the `Rome School’ for students, teachers and researchers in particle physics, not only theorists but also curious experimentalists." "Introduction to Gauge Theories is authored by leading contributors to the Standard Model of Particle Physic (SM): Nicola Cabibbo (the proponent of quark mixing angles, whose extension led to the Cabibbo-Kobayashi-Maskawa matrix); Luciano Maiani (one of the fathers of the so-called GIM mechanism which led to the prediction of the quark charm); and Omar Benhar (a well-known expert in many-body physics) and it constitutes a most welcome addition to the literature. A must-have in any physics library, this book is highly original, centring on deep problems of quantum field theory, and consistently well-motivated by experimental phenomena. The symmetries of nature are the guiding principle, illuminating the presentation of the concept of renormalisation and its applications in gauge theories, from a thorough and pedagogical analysis of Quantum Electrodynamics, to the exploration of Quantum Chromodynamics and the SM, including the role of the Higgs field, and beyond. Everybody can find some food for thought here: from the graduate student to the most hardened researcher. This book is full of physical insights and is highly recommended." "This is an excellent treatise written with the authority of scientists that have made ground-breaking contributions to our understanding of high energy physics. The book covers a vast amount of material, including the basics of quantum field theory, gauge theories and their applications to the Standard Model (or Theory) of particle physics, in addition to an exploration of its potential extensions. Following the discovery of the Higgs particle, it is welcome to have a complete discussion on the basic theoretical aspects of the most fundamental theory we know so far. Based on a set of lectures given by the authors over the years, this book is very pedagogic and well structured. The path integral formalism is used throughout the book, and its simple presentation and excellent balance between concepts and calculational tools makes it an ideal textbook for an upper division undergraduate courses, though it will also prove useful as an excellent text for PhD students and professional physicists working in a variety of different fields." "When I read Luciano Maiani's book on Relativistic Quantum Mechanics I noted "I have fully enjoyed reading the first two books and I am looking forward to the pleasure of reading the third one." I was right. This volume, the third in the series, is as clearly and beautifully written as the previous ones. 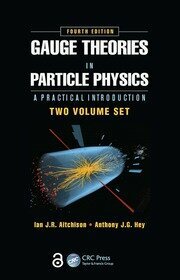 It is an excellent introduction to the quantum theory of gauge fields and their applications to particle physics. Written in the same spirit as the first two volumes, it follows a deductive and physical approach. All technical concepts are first motivated by physical requirements and then developed with rigour and precision. It will be an excellent book for the serious student and a good reference for the professional practitioner. Let me add that, scattered through the pages, we can find occasional traces of Nicola Cabibbo's style." 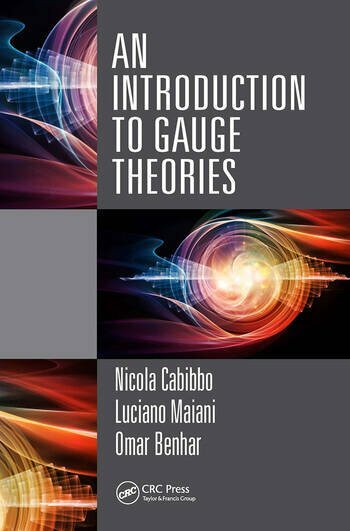 "Introduction to Gauge Theories by Nicola Cabibbo, Luciano Maiani and Omar Benhar concludes a series of three textbooks resulting from lectures given by the authors over several decades as part of the graduate program in theoretical particle physics of the University of Rome, at La Sapienza. This last volume, partly based on lectures notes by N. Cabibbo (1935-2010), is elegantly revised and updated by his coauthors. Although familiarity with the previous volumes: Relativistic Quantum Mechanics, by L. Maiani and O. Benhar, and Electroweak Interactions by L. Maiani, both published by CRC-Press, is recommended, this textbook can be read independently by someone familiar with relativistic quantum mechanics, second quantization, and electroweak phenomenology. From transition amplitudes to Green functions, the Feynman path integral is used to lead the reader through the intricacies of QED and the electroweak field, up to the QCD theory of strong interactions. The volume ends with an illuminating description of the expectation generated by the recent discovery of the Higgs boson, combined with the lack of evidence for super-symmetric particles in the mass range 0.6-1 TeV. Hoping that they may still be discovered in the near future in the upgraded LHC, nonetheless the authors encourage the construction of a future generation of accelerators to continue one of the most wonderful human quests, that of High Energy Physics." "The authors, world renowned experts and educators with many years of experience, present their subject in a clear pedagogical and systematic manner in ‘An Introduction to Gauge Theories’. The reader is masterfully guided through the subtleties of the quantum field theory and elementary particle physics from simple examples in Quantum Mechanics to salient details of modern theory. This book, consistently based on the path integral technique, will provide a solid theoretical foundation for students aspiring to become experts in quantum gauge theories and can serve as a reference text for students and researchers in other sub-fields of physics."